We specialise in the integration of iPods, Navigation systems, Television and DVD systems into the in-dash, factory fitted, LCD screens. We also offer a full range of hands free carkits, audio and security systems for most types of vehicle, cars, trucks, diggers, coaches and even boats. Pop your iPod in the docking station and play it through your vehicle's sound system. But don't stop there. Your iPod can be fully integrated so the track information displays on your vehicle's LCD display unit while you control the track selection from your steering wheel. Movies and videos stored on the ipod can then be shown on the LCD panel. Just think how good those inspirational and motivational mp3 tracks are going to sound ... not to mention your favourite music! If your vehicle has an OEM GPS navigation system, we can supply a unique line of products that can easily integrate an AV source into your built in LCD screen. With this powerful new feature you and your passengers will be able to enjoy a whole new world of mobile media. You could connect a DVD player, TV tuner, VCR, video games console, a rear view back up camera, your computer or any other video source. We offer a video interface for nearly all makes and models. 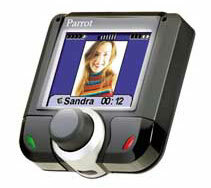 The Nav Video interface modules are of the highest quality and are competitively priced. They are by far the best solution available for people who want to seamlessly integrate an external video device with their existing factory navigation system. Each video module allows several video inputs so you can connect several video sources and they allow easy switching between video inputs. The modules also feature an input that is switchable on reverse, so when you select reverse, the rear view camera automatically switches on. We can supply a complete range of GPS navigation systems including full integration into the in-dash LCD screens. We are specialists in cellphone carkits and have a wide range for most makes and models. In late model vehicles, we recommend Bluetooth carkits starting from $345 +GST including installation. These carkits work with most blue tooth cellphones. 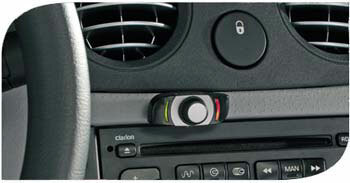 We have also developed the capability to integrate these into most car's audio systems to give better voice clarity. Our range includes the well respected and reliable Parrot brand. The Parrot range features a quality CD-MP3 headunit with a Bluetooth car kit built into the standard ISO DIN size unit and it comes with a detachable face and a remote control. Order it now! For cellphones that don't have blue tooth we have cradle mount car kits. These brackets can be mounted in a convenient position without drilling into the dashboard. From speakers to sub-woofers to LCD screens and amplifiers, from suppliers such as Panasonic, Fusion, Blaupunkt, Clarion, Harman/Kardon and Alpine, we supply and then provide a quality installation using original car audio looms (no twisting wires together) to provide a quality, clean and tidy finish. 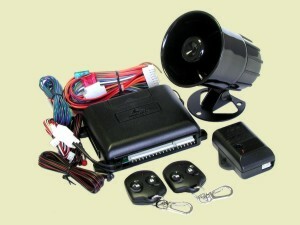 We use reputable suppliers such as Mongoose Car Alarms, Fusion Car Systems and Uniden. If you want to install systems in Trucks, Coaches, Diggers and Marine vessels, we can do this for you. We have a full range of power reducers and inverters to ensure the smooth operation of your equipment. If you want one of these we can supply and fit them for you. No questions asked! Vehicles imported from Japan frequently have video incompatibility issues. We have developed extensive audio-video options for prestigious, mostly european, vehicles with factory in-dash LCD screens. 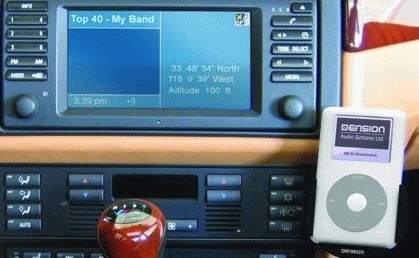 These include satellite navigation, reversing cameras, DVD, TV, Video, iPod and computer gaming. See Nav Video interfaces. Call us now on 0272 123456 to see what we can do for your vehicle.